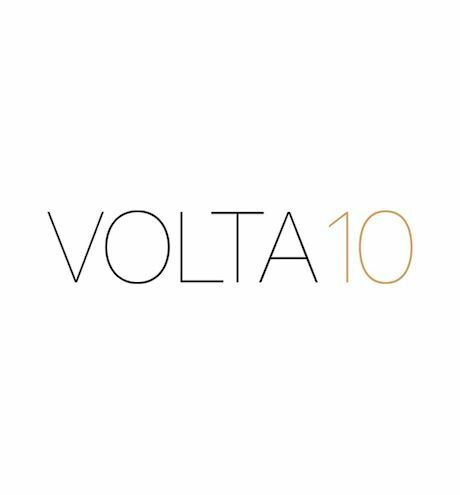 Booth D16 June 16-21, 2014 Markthalle // Basel, Switzerland Beers Contemporary is thrilled to be a part of VOLTA's 10th anniversary edition at Art Basel with 3 extremely talented artists: Anthony Goicolea, Selma Parlour and Evren Sungur. VOLTA is Basel's renowned platform for presenting the vision of contemporary art galleries of global prestige whose artists represent new and relevant positions for curators and collectors alike. Conceived to bridge a gap between Basel's pre-existing fairs, VOLTA showcases galleries  whether young or mature  that choose to work with the most exciting emerging artists. These galleries must keep deeply meaningful connections with their artists and follow them throughout their careers. In turn, select galleries exhibit in the airy rotunda surroundings of Basel's Markthalle, elevating their own platforms for an experience mutually beneficial to fair visitors and the galleries alike. __________________________ Anthony Goicolea is a Cuban-American fine art photographer, painter, and installation artist based in New York. Operating through a diverse vernacular of artistic disciplines, his work found footing in the 1990s with a series of multiple self-portraits exploring narcissism, adolescence, and homosexuality. His photos engaged a performative gesture that referenced ritual, gender, and tradition. More recently, he has transitioned into new conceptual territories, while maintaining a consistent interest in themes of identity, cultural tradition, alienation, and displacement. Goicolea has immersed himself in a depopulated world in which elements from his ancestral homeland, Cuba, mix with the rural landscapes of the New England countryside and the Southern farms and plantations close to where he was raised in Georgia. The landscape itself reflects an anonymous and increasingly tenuous human presence. Barren forests, flooded plains, and hybridized tropical flora and fauna coexist in an uneasy union with the technological vestiges of an industrialized society. ANTHONY GOICOLEA (b. 1971, New York) obtained an MFA in Sculpture and Photography from the Pratt Institute of Art (1996) as well as a BFA in Drawing and Painting from the University of Georgia (1994). Goicolea has shown extensively internationally gaining notable group exhibitions in France, Germany, Switzerland, Canada, Spain, New Zealand, Korea, China, UK, Scandinavia and the USA (2000-2013). Selected recent solo exhibitions include Permanent Marker, Galeria Ron Mandos, Amsterdam, The Netherlands (2013); Wandering Wild, La Galeria Particular, Paris, France (2013); Domesticated, Galeria Senda, Barcelona, Spain (2012); Pathetic Fallacy, An Exhibition of New Drawings and Photographs by Anthony Goicolea, Postmasters Gallery, New York City (2011); Home, Ron Mandos Gallery, Amsterdam (2010); Decembermay, Galerie Scheibler Mitte, Berlin (2010); Related, Houston Center for Photograph, Texas (2010). Goicolea was also been granted the Cintas Fellowship in 2006, the 2005 BMW Photo Paris Award, the Bronx Museum âArtist in the Market Place' program in 1998, and the Joan Mitchell Foundation Grant in 1997. Goicolea's work has been included in private collections worldwide as well as a variety of recognized public collections including, the Hirshhorn Museum and Sculpture Garden in Washington, the Museum of Modern Art, New Yorrk, the Guggenheim Museum of Art, New York, the Groninger Museum, The Netherlands, El Museo de Arte Contemporaneo de Castilla, Spain and the Israel Museum, Jerusalem. The artist has been the subject of four separate US publications and has been featured in ARTnews, Art in America, the New Yorker, the New York Times, the Los Angeles Times, the Chicago Sun-Times, and the Chicago Tribune, among many others. Selma Parlour's work is meticulously rendered and simplicity is a critical factor as she draws upon a rich lineage of minimalist art in her subtle use of colour and shape. The simultaneous creation and negation of space are also significant; through geometry and isolated two-dimensional forms, Parlour crafts stage-like settings that mingle foreground with background and imbue a sense of spatial confusion. SELMA PARLOUR holds a PhD in Art from Goldsmiths (2013). Parlour's work has been acquired by Saatchi Gallery and the Creative Cities Collection, Beijing, and has been included in group exhibitions including; Creative Cities Collection & Exhibition, The Barbican, London (2012), Selma Parlour & Yelena Popova, Horton Gallery, New York (2012) and Bloomberg New Contemporaries, S1 Artspace, Sheffield & ICA, London (2011). Parlour has also been selected for inclusion in 100 Painters of Tomorrow. Evren Sungur approaches painting from a point of view that celebrates austerity and severity. Aggressive color schemes predominate canvases often measuring over 200cm, and angular, unsympathetic figures create a jarring sensory overload. The paintings are based conceptually in human nature and male/female relationships, but articulated through a palette and appearance mostly reminiscent of Chinese propaganda art of the early 20th century. EVREN SUNGUR holds a BA in Fine Arts from the Mimar Sinan Fine Arts University (2007) as well as a BA in Engineering-Architecture from Yeditepe University (2002). Solo exhibitions include Tour De Force, Galeri Zilberman, Istanbul (2012), Instabul Summer Exhibition, Sanat Limani, Istanbul (2011) and Volume I, Galeri Espas, Istanbul (2010). Fair participation includes; Contemporary Istanbul (2011), Marrakech Art Fair, (2011) and Berliner Liste, (2011). Sungur is also one of the artists included in 100 Painters of Tomorrow.